All this is to say, I don’t intend this post to be taken as part of the (apparent) backlash against what is happening in the Plus Sized Sewing community. 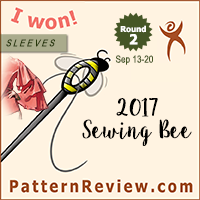 I really just want to look at some new patterns and see what the trends are in the sewing sphere at the moment. If the content of this post or the timing of it is offensive, I apologize for that, but I still enjoy reviewing the new pattern releases, and I don’t want to stop writing about that. I enjoy looking for inspiration and innovation regardless of the size ranges it comes in. Pattern 1: Top. This simple cross over top would be perfect in my Kibbe Soft Natural capsule plans (which I’m still working on, because I’ve been so busy with my travels the past two weeks. I thought I’d have time to work on plans during my trip, but, sadly, no. Hopefully I can get caught up in the next week or so…) Anyway, I really like the gathered shoulders, waist, and open neckline of this top. The long-sleeved options are quite nice as well. Pattern 2: Top/dress. This top looks like it could also serve as a great mid-weight sweater for the spring months. The lines would be very cute for a Gamine wardrobe. The dress option (shown on the model) has some great potential for color blocking. Pattern 3: Top. I’m pretty sure we are all a bit over the boxy tops with ruffle sleeves at this point. I’m a little more excited by the white version with the sleeve ties, but Burda didn’t provide the line drawing for that variation on their site. On the model it looks great though. Pattern 4: Coat. Through my Kibbe explorations, I’ve come to realize that this is not my best coat silhouette, but I do think it has a lot of nice features for a simple coat. The collar has a nice shape, and the patch pockets are a fun detail. I really like how it is presented in the bouclé view as well. Probably not going on my personal sewing list, but I do think this is a great style to have included in this issue of the magazine. Pattern 5: Pants. I’m obsessed! I really like these pants. The elastic cuffs and pockets are awesome features, and they look so comfortable! I also really like the fabrication and styling that Burda has used here – they make athleisure look so chic! Definitely more exciting to me than a lot of the other recent styles from Burda. If nothing else, these trousers are totally worth the cost of the magazine for me. Pattern 6: Skirt. I also really like this skirt. It is probably not as nice as some of the similar styles in the regular Burda issues which have a nearly identical silhouette, but this view has an elastic waistband, and sometimes you really don’t want to deal with the fuss of a zipper and fitting a lining. This definitely looks like a quick and easy sew, and that’s one of the selling points of the patterns in Burda Easy Magazine. And that’s it! It seems as though Burda has reduced the number of patterns in this issue, but they are doubling the amount of Burda Easy Magazines to be produced each year, so, trade offs? I do like most of these patterns, and could see myself making a few of them, especially the first top and those pants. What do you all think? Does the Burda Easy have any appeal? Or does it seem like less value for the money when compared to the number of patterns you get in a regular Burda issue? How much of a turn off is the size range for this magazine? And, on that note, does anyone want to fill me in on the sewing drama that’s been going on the past two weeks? I feel like I’ve returned from my trip and I don’t even know what’s going on in the world anymore. Feel free to discuss these patterns or any of the other issues in the comments! Also, as a side note, I will be posting about the new Spring/Summer Burda envelope patterns as well as the new Spring Vogue patterns as soon as time permits. It’s going to be a bit of catch up around the blog for a while, but I hope to get back to more Kibbe related posts and *gasp* even sewing garments for my challenge soon. Burda easy has grown on me considerably. I contacted glpnews, but they didn’t have any information on Burda easy being published four times a year now. I will be ordering this one though as soon as it’s available. I really love the pants and a couple of the blouses. Oops.. announced it’s developing a plus-sized block. I am not familiar with this magazine (Burda Easy? ), but I like almost every pattern you’ve shown. I don’t know anything about what’s going on regarding Instagram, but people will always find something to complain about. I like Burda patterns and will continue to purchase them. Burda Easy is like Burda’s intro to sewing magazine. The patterns don’t overlap, and in general are easier to sew. They also have illustrated instructions. Sadly, it’s no longer published in English, but I’m familiar enough with Burda that it doesn’t deter me from the magazine, especially since it has pictures! Thanks. I’ll have to see if this issue is available through GLP because there is no place around here that sells Burda pattern magazines. I don’t think it’s being spoken around! It’s pretty much what you see. the owner of SBCC patterns posted a blog post about the reasons RTW chooses not to extend looks to plus size/focus on plus size and in the same breath sort of “gave a pass” to pattern designers. And several indie designers were all “yaasssss” and boom. Own that you don’t want to or are unable to create a plus sized block and therefore patterns. But the “wah, it’s too hard” is pretty disingenuous and annoying. I always like Burda Easy. I’ve never purchased one as I do think that very often, there’s a similar pattern available in classic Burda. I really like the coat and the skirt! Ah! Thank you for that explanation. I’ve *really* been away from things, it’s more like I’ve seen all the responses but I wasn’t sure where the initial impetus was from. Totally agree that the *wah hard* is a BS excuse… if those of us at home who have to adjust fit to deal with Plus Size fitting issues can do it, it can’t be *that* impossible for a professional to figure it out. And I’m speaking from a place of having to sew skating costumes for plus sized clients, so I’m well aware of what sort of alterations must be made to a commercial pattern to achieve fit. Really, not that hard. You might not be able to just scale up the base block (actually this is why I think Burda has different patterns in the Plus Sizes – it is a differently shaped block to some extent), but it’s not *impossible* to have larger sizes. If others have, it’s completely FALSE that you “can’t”. And agree with Burda. Even when they offer a similar pattern in plus, it has slight variations. And why, as a size 40 upper body, the attempt to “grade down a 44” by my inexperienced self did not work out. THANK YOU! I was wondering where is hell all this started, now off I go to read SBCC’s post. I can’t remember how easy the Burda Easy patterns usually are, but it looks like they included some nice details on these. Being slightly out of the social media loop, I’m still trying to catch up with the furor in the Community as well. As far as I can tell it was triggered by a blog post meant to be an apologia of sorts for RTW sizing. It did not go over well, but it has fueled a fantastic convergence of different groups overlooked by the pattern companies. Look for protests and boycotts coming soon. It seems to me that the Burda Easy Patterns are definitely more focused on being “easy to sew” lately, especially in comparison to the designs that came out in the magazine in 2014, for example. I’m pretty sure the “Easy” label originally came from the idea that you could cut the patterns directly out of the tissue, and because of the more detailed instructions (like in the envelope patterns). I think this issue is a nice blend of added detail, without too much tricky sewing that you can often find with Burda patterns. They’ve avoided button holes and zippers on most of these garments, but still have cute, trendy detail. I think it’s a great compromise. As for the social media furor, KS Sews has a great explanation in the comment above… it is all much more clear to me now what inspired the posts I’ve been seeing. I think this is a tension that has been building in the sewing community for a while, and I’m not surprised at the outcry this has caused. Agreed – the frustration has been there for years or decades (for me, since 1974) but what’s exciting to me is that everyone is coming together in this huge thing now. Also, Sew Pretty in Pink did a post with actual historical research that blew the SBCC post completely out of the water as far as I’m concerned. I saw the link to it! I saved it to read tomorrow. Thanks for the review! And you are correct, I found your blog via the Burda reviews. Since the only other person I know that likes Burda is my 90 year old grandmother, that always want to simplify sewing, it is nice to see someone elses perspective. The college jacket version of the coat was my fav pattern! I’m with you on the skirt and trousers- really nice stylish patterns. Less keen on the rest but I always think two patterns I’d make in a magazine is good value when you think of the price of envelope patterns. Drama? Totally missed it. Have really missed your posts, Doctor! Glad you’re back. Anyway there’s lots here to like, even if there is sew little (tee hee)… Love the top up top even if it isn’t really ideal for my shape – I’d totally wear that. And those pants – I might even try them! Without that kind of pocket though, doesn’t work for my shape, would replace with back patch pockets. Love the skirt too, and the jacket looks great for Spring or Fall. Wish I could purchase this issue, it is nowhere at all in my area. Can’t wait to see your review! I still don’t have Instagram and I have enough drama at home to worry about. I do understand the difficulties of finding or sewing plus size clothing. My mother has been plus my entire life. She was so tiny in high school that I could never fit her clothes even at my my very thinnest (25″ waist) Both my parents and I were the fat kid in grade school and even when I did slim down the taunts of fatso rang so loudly that I’ve never felt thin even when I was. Right now in Burda I straddle between regular and plus and I still feel uncomfortable in my skin and sew more for others . Although I have a fantastic wish list waiting for when I ‘lose’. LOL My 24 yr old daughter is plus because of hormone problems and has just announced her engagement so now begins the battle to buy/ make a wedding dress. I remember having to completely deconstruct her HS choir dress to make it fit. Her prom dress was definitely a triumph though. Another son’s fiance is plus also and wants help with her dress. ( I think this year is the year if weddings for us). My mother has retired from sewing because of health and have now inherited 2 rooms full of fabric and over 5000 patterns from the 50s to today. Most of the women’s patterns start at 16 and go higher. I’m grateful that there is so much more stylish options than the sacks that were foisted on plus size community for so many years. I’m so glad that things like Cashmerette, Burda, Hot Patterns some of the new designers mean my daughter can feel more stylish and confident than I did. There’s always room for improvement but I think we’ve come along way, baby! Please take anything I say with a grain of salt! I’ve found the older I get the less I know…I personally think it comes down to cost and profit more than anything. Creating blocks that fit, designs that look stylish etc. can really cost in terms of time and money. Not everyone can or wants to invest in that. That’s why niche companies are so important that focus on marginal groups. That’s a wonderful perspective on how things have changed over time! I agree – things are moving in a better direction, but there is still room to grow and improve for us all. Best of luck with all your wedding gowns – sounds like you will have a busy year! 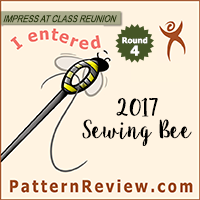 I’ve just read the SBCC and Sew Pretty posts, it seems fit is an eternal issue. I attended a drafting class many years ago and the tutor commented that the drafting from first principals formulae would work for plus size people, but that grading up would not. He specifically mentioned shoulder length and torso length as measurements to check when altering patterns. It was interesting to observe just how different everyone’s bodice blocks were. And made me realise how difficult it would be to sew for others. Now when people whinge that can never find anything to fit I suggest they develop a relationship with a seamstress. Or learn to sew. Not every post needs o be political and yes I don’t quite fit into the burda standard range and yes I with they’d make it bigger and yes many of their ‘plus’ are shapeless sacks. But I love your posts so don’t change ! Thanks for sharing! I’m so glad it’ll be easier to get the magazine in Canada again!